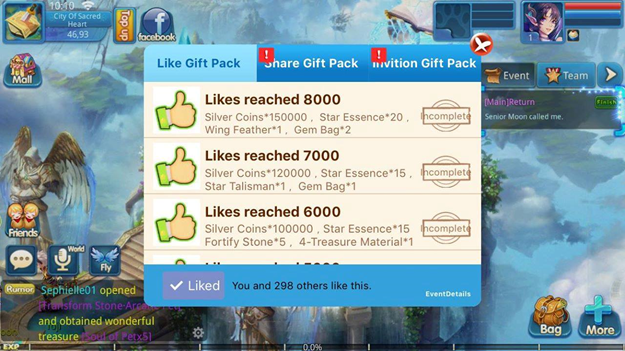 How can I get my Like Gift Pack? 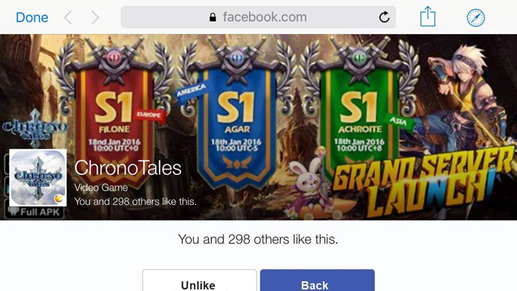 It will request to open Facebook when you click the "Like" on the left bottom on the Facebook interface. 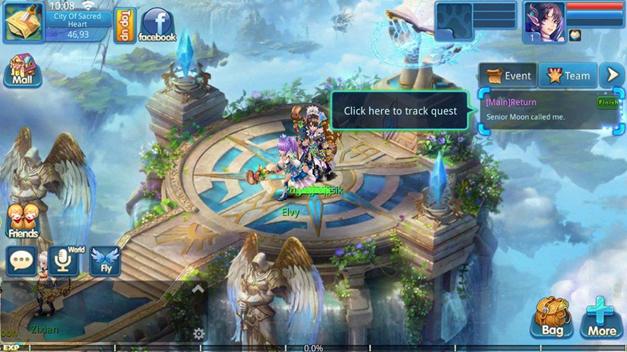 Once liked, just click "Back" to continue enjoy your game! Q: I see the likes achievement has completed, and the page likes has reached as well, why I couldn’t claim any gift pack from it?